It was a spectacle that was totality worth the hype. On August 21, 2017, parts of South Carolina witnessed a rare and spectacular event – a total, solar eclipse. It truly was a mind-blowing experience and Chernoff Newman feels fortunate to have been a part of a once in a lifetime opportunity. The state of South Carolina started prepping for the eclipse months in advance. It was a big deal for Columbia as the city was expecting over 1 million folks to flock into town to experience the phenomenon. And with Charleston being, well, Charleston, the city became a hot spot to watch the moon take over the sun. With a location in each city, we wanted to take advantage of the cultural event and be a part of it – not just watch it happen. 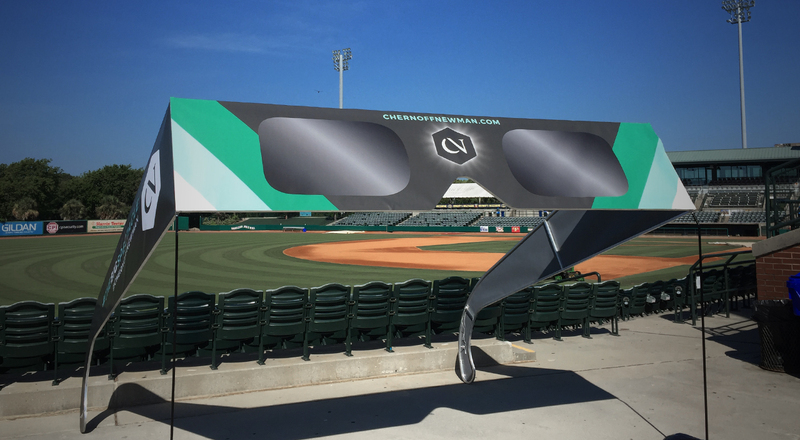 Knowing that the event was going to be big, we designed and built two pairs of the world’s largest eclipse glasses and dubbed them The Big Spectacle. Stretching over 34 feet from end-to-end, these were BIG. 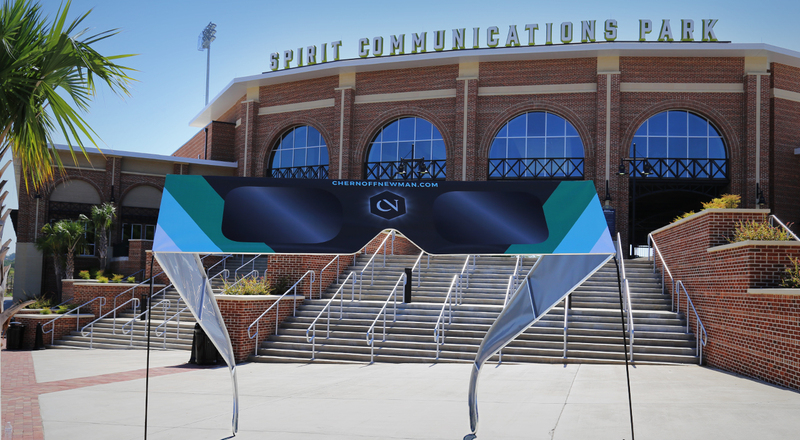 For the long-weekend leading up to the event, we placed one pair of glasses outside the Spirit Communications Park, home to the Columbia Fireflies, and a matching pair at the Joseph P. Riley Park, with the Charleston RiverDogs. 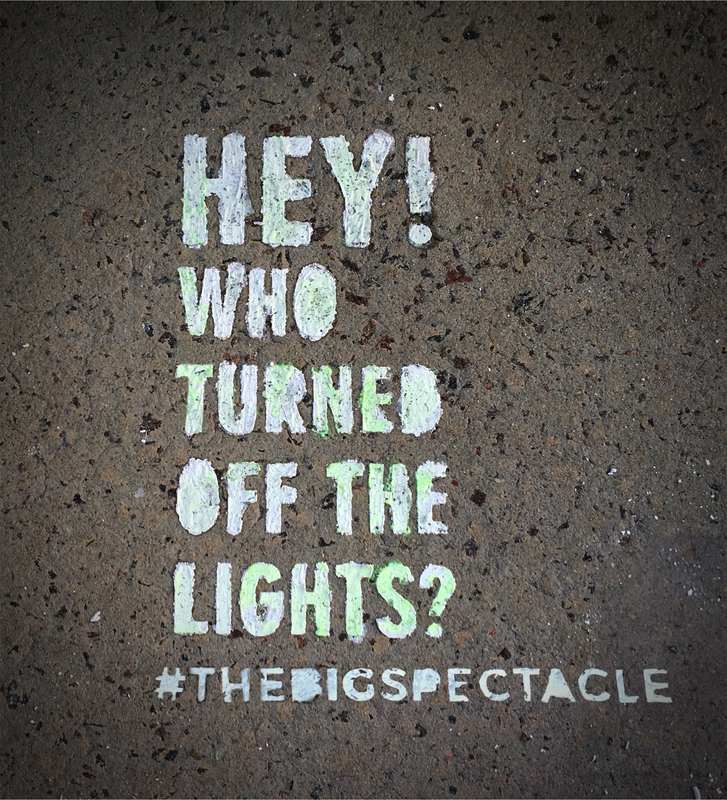 In addition to the glasses, we launched a ten-day social media campaign designed around #TheBigSpectacle. 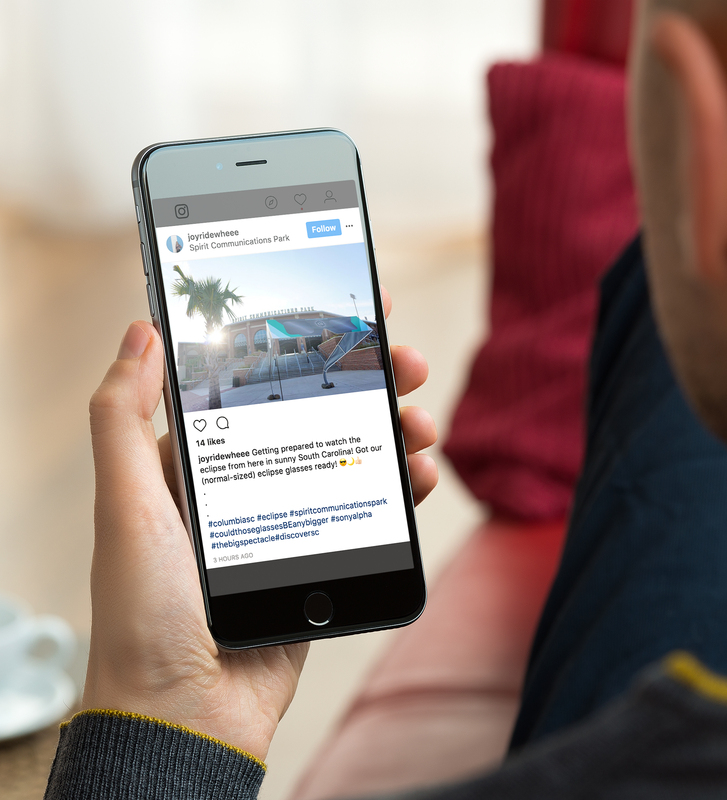 Utilizing our Facebook, Twitter and Instagram channels, CN promoted the glasses, sidewalk art and had a video countdown to the eclipse itself. Our website also went dark with a new ‘eclipsed’ Chernoff Newman logo and a Solar Eclipse Spotify playlist – a compilation of eclipse themed songs to help you get through your darkest hours. 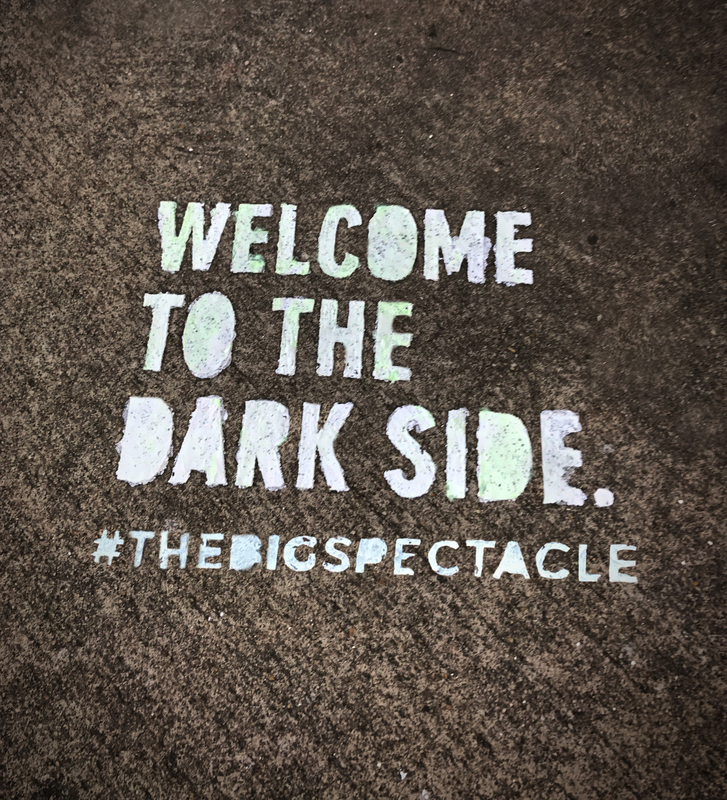 Before revealing the glasses and social campaign, we shot our friends and clients a sneak peek, inviting them to follow #TheBigSpectacle and check out the glasses. As big as the glasses were – the response was even bigger. Media including WLTX, WIS, WOLO, WACH, WMBF, WBTV, WFXG, WCSC, ColaToday, Cola Daily, and Charleston Business Magazine helped celebrate the unveiling of the glasses on August 18. 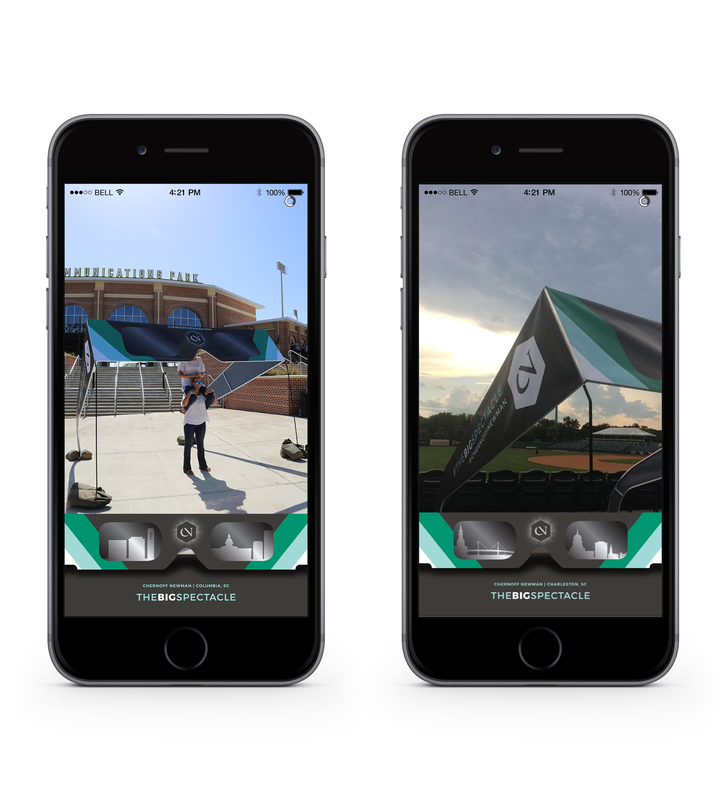 Snapchat filter impressions equaled 44% of the attendance at Spirit Communications Park and Joseph P. Riley Jr. Park and our total Facebook engagements increased by 16,867%. 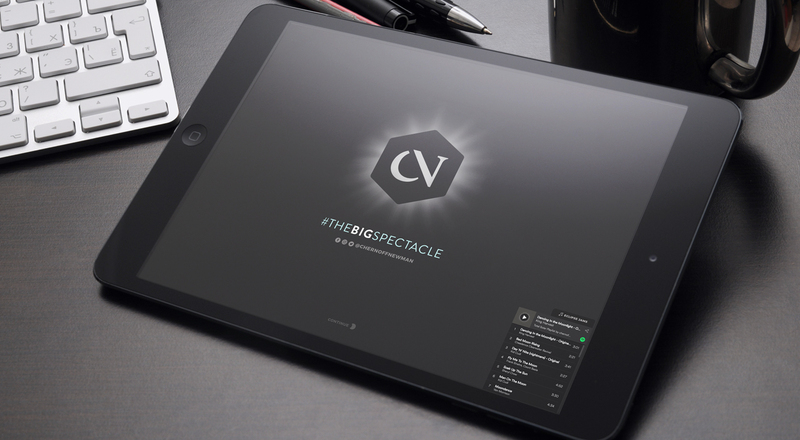 On the website, there was a 19% increase in page views during #TheBigSpectacle campaign as well as a 30% increase in time spent on the site. 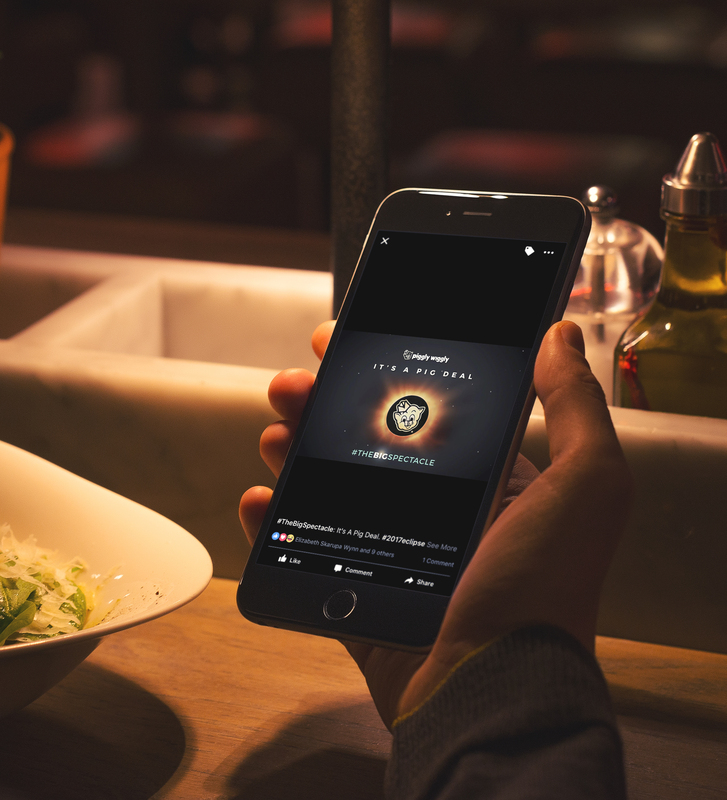 We wanted to take a closer look at our Facebook engagement numbers. In doing so, we confirmed that the highest organic engagement came from video content, with the first countdown video and the glow in the dark video being the highest. We also dove into our Twitter results and concluded that our impressions were highest among the unveiling post where we tagged both the Charleston RiverDogs and the Columbia Fireflies. This post had the highest amount of likes and responses. 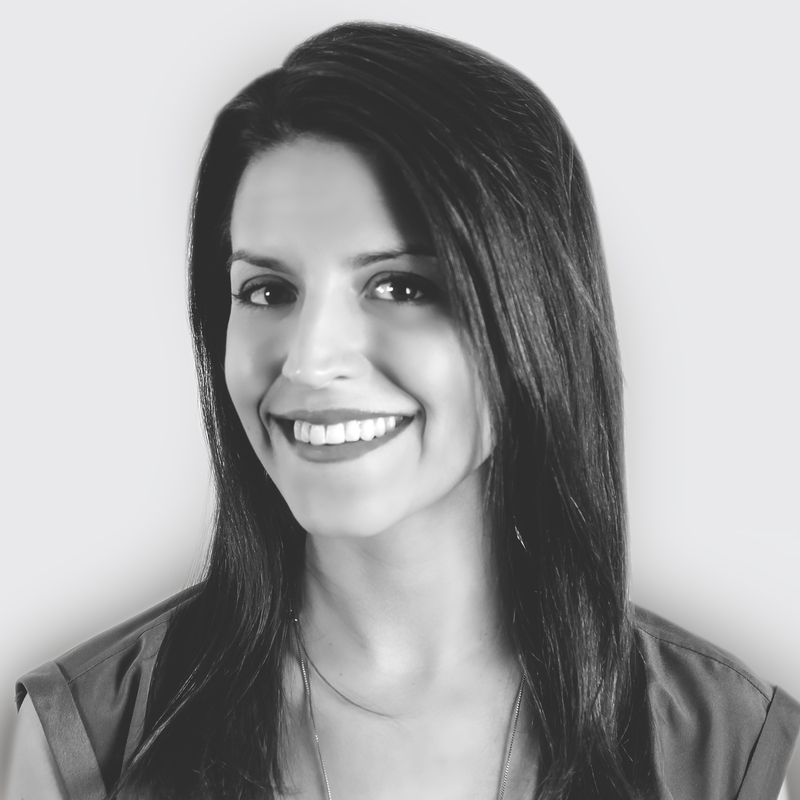 Finally, we wanted to see the impact that our sneak peek e-blast had on website traffic. The click and open rate was above industry average at 37.5% and the email contributed to 43% of all website traffic on the day it was sent. We had a blast putting this campaign together and flexing our creative muscles for our own brand and we have already started brainstorming for the next eclipse. See ya at the next eclipse!